Today you can see some insider’s rumors about new iPhone 6S release date and features. Why do you love your country? We love China because …. 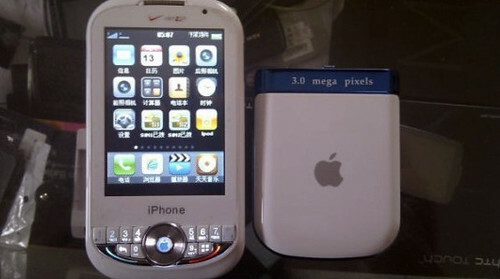 We have been dreaming for Apple’s iPhone 5, but the knockoff makers somehow created one before Apple does it. It’s got an really unique design, comes with a tiny click-wheel like button and the keypads are aligned in two horizontal rows… What’s more, it has a Verizon logo. Cool. More pics after the jump. 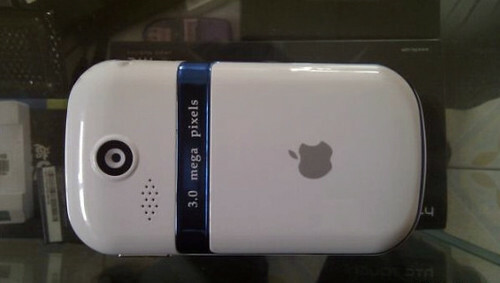 Its specs are unknown, but according to the pics, we see that it has a 3 megapixel rear camera and a front-facing camera. Great thing that it comes in white! And it only cost 380 yuan (about $58), available in Shenzhen at Huaqiangbei.